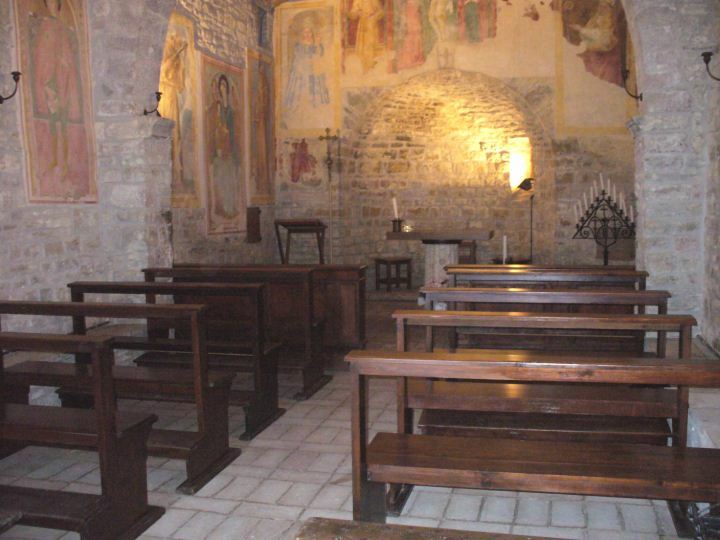 Borgo San Fortunato is located just few minutes from Assisi, in the historic heart of Umbria, immersed in the countryside on a hilltop from where you can admire the Basilica of Saint Francis and the Hermitage of Prisons. 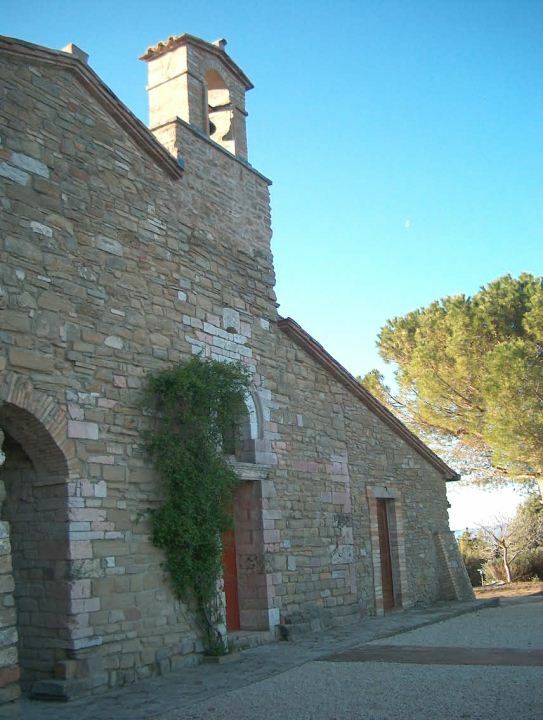 It consists of an ancient complex of stone buildings that, thanks to its activities, combines simplicity and relaxation. 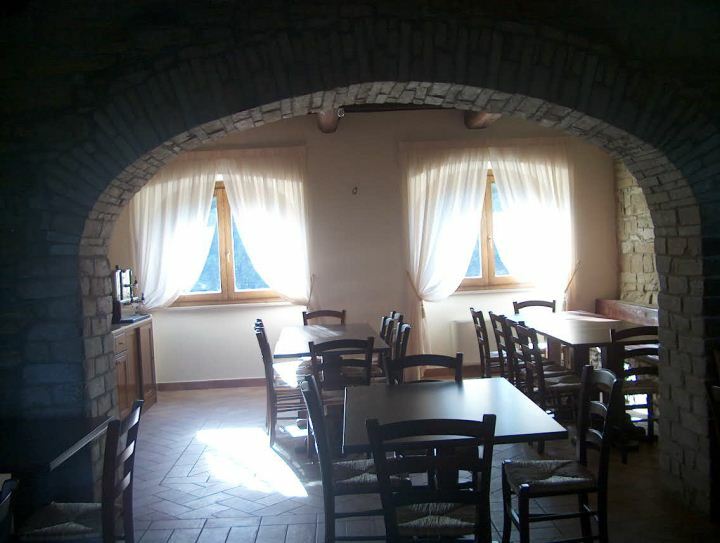 It is situated along the Via Francigena, and is an ideal place to live moments of meditation and truly enjoy the life of the Umbrian countryside. Couples, families, youth groups, church movements can experience a regenerating break or training stays. 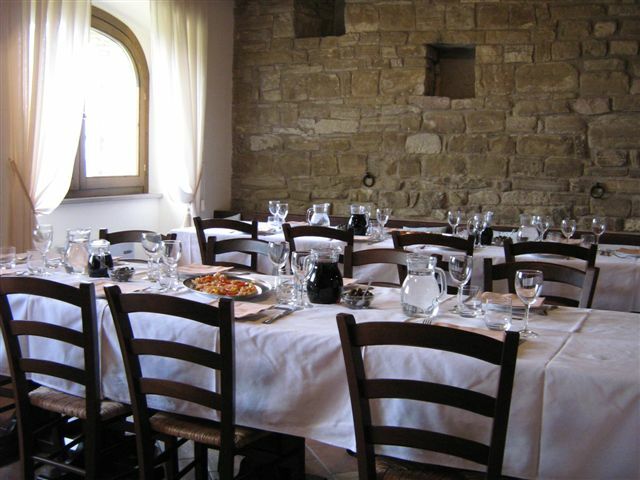 Borgo San Fortunato is composed by four fully restored farmhouses that are able to accommodate up to 40 people. 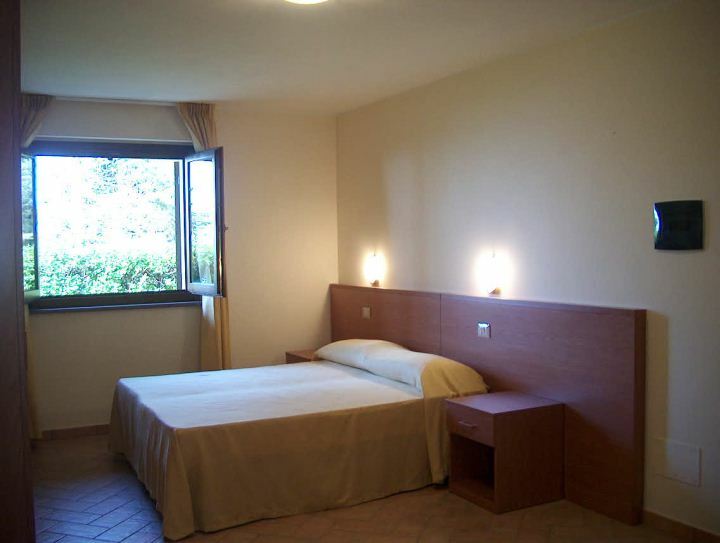 The rooms are decorated with elegant simplicity, recreating the atmosphere of peace and inner search which permeates even the large outdoor area of about 7 hectares. The complex also includes a restaurant room and a conference room with 50 seats for meetings, training or small business meetings. The presence of the church of San Fortunato dating back to 1200, enriched with frescoes, characterizes the entire structure and gives the name to the village.